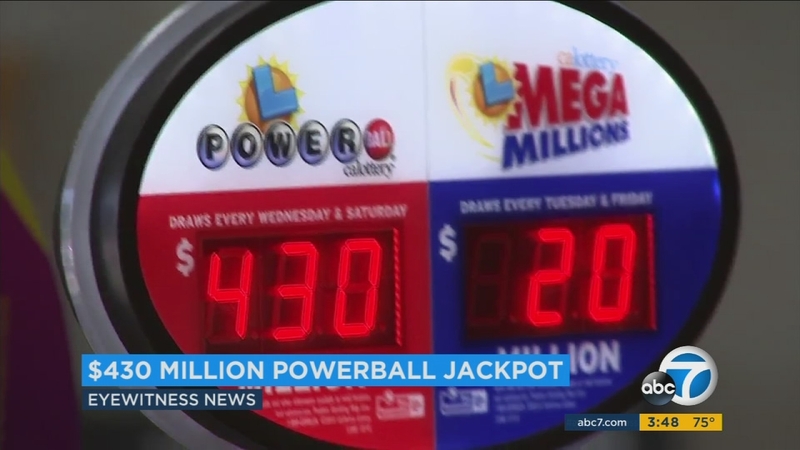 LOS ANGELES -- If you're feeling lucky, you have 430 million reasons to go get a Powerball ticket. Powerball ticket machines across the region were expected to be busier than usual ahead of the drawing. Powerball is currently played in 44 states plus Washington D.C., Puerto Rico, and the US Virgin Islands.